We are a leading Manufacturer of auto insulation tape from Chennai, India. 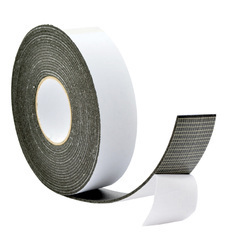 Leveraging on our long experience in the field, we offer a wide assortment of automotive tapes to our clients. Our range, especially, double sided pressure-sensitive-adhesive tapes is suitable for fitting the materials such as emblems, body-side moldings, mirrors and antidrum mats through to low -energy plastic parts made from PE/PP/EDPM. We can provide them in various designs. Apart from Autombiles that these tapes are uesd in Air conditioner to control the noise and vibration. Looking for Auto Insulation Tape ?